The Literary Yard has received the press release from the Press Information Bureau of India on the Copyright Rules, 2013. The piracy has been a huge concern in India. Artists, authors and publishers have lost millions of rupees. In addition, the online culture further increased the woes in the absence of no concrete provision to curb the malpractices. 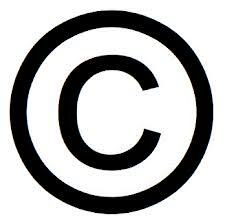 It was last year when the Copyright Act, 1957 was amended. The Act post the amendment safeguards the rights of writers, authors, musicians, artists. According to the release, the Copyright Rules, 2013 has been notified by the Copyright Division, Department of Higher Education, Ministry of Human Resource Development on 14th March, 2013. The amendments to the existing provisions of the Copyright Act, 1957 and introduction of new provisions under the Copyright(Amendment) Act, 2012, which came into the force on 21st June, 2012, necessitated amendments to the Copyright Rules, 1958. The release further underlines that the draft Rules were posted on the website of the Copyright Office on 28th August, 2012 seeking comments of all stakeholders and experts giving a deadline of 20th September, 2012. The Ministry also boasts to have taken a meeting with various stakeholders and copyright experts on 8th October, 2012 to seek their suggestions on the draft rules. The Copyright Rules, 2013 provide new rules for statutory licence for cover versions and broadcasting of literary and musical works and sound recording; compulsory licences for works withheld from public, unpublished and published works, for benefit of disabled; registration of Copyright Societies and Performer’s Right Societies; storage of transient or incidental copies of woks; making or adapting the work by organisations working for the benefit of persons with disabilities; importation of infringing copies and technological protection measures. The fee for registration of copyright for various works and fee for licences to be issued by register of Copyrights under the directions/orders of the Copyright Board have been increased under the Copyright Rules, 2013. The minimum fee has been increased for registration from Rs. 50/- per work to Rs. 500/- per work and the maximum fee has been increased from Rs. 600/- per work to Rs. 5,000/-. The fee for licences has been increased from Rs. 200/- to Rs. 2000/- per work and the maximum fee has been increased from Rs. 400/- to Rs. 40,000/-. The new fee structure provided under Second Schedule of the Rules is applicable from the date of coming into force of the Copyright Rules, 2013 that is 14th March, 2013. A copy of the same has been made available on the website of the Copyright Office (www.copyright.gov.in).